We all set goals. For you, this could be becoming the leader in your industry. It could be becoming the most involved mom at your child’s school. It could be becoming a foremost expert in your field. No matter what your goal is, it represents a target. You do everything to achieve it – the pathway to that achievement can always be adjusted. When it’s more important to reach your target than to be exactly right about an idea, it’s time to pivot. Change directions – start on a new course. Here’s a hint: it’s always more important to reach your goal than to be stubborn and right. Let yourself try something different, by always keeping your target in mind. Eyes on the prize! I would love to hear from you with your own goals and plans to attack them for 2014 – wishing you your best hunt yet. 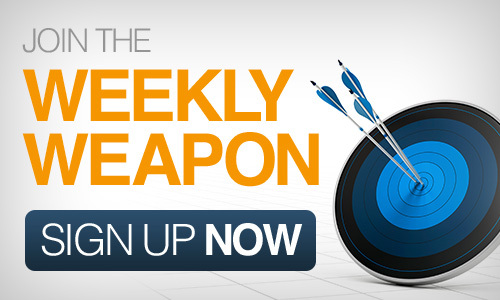 This entry was posted in Your Weekly Weapon With David Farbman on December 13, 2013 by David.